I am so excited! I’ve been wanting to create a holiday gift-giving guide for a while and I’ve finally done it. I hope you enjoy. I really love everything I’ve picked. Christmas is upon us! Hanukkah starts in two short weeks. Get your kinara out; Kwanzaa is coming. Festivus is right around the corner. Whatever you celebrate (or don’t) in December, this is one of my favorite times of year. If you’ve been reading for awhile, you know that I absolutely love Christmas and tend to go a little crazy at Christmastime. My love language, if you know about that, is giving. Over the years, I’ve dramatically toned down the level of gift and amount of giving I do, but it still brings me great joy when I can find that perfect gift for my loved ones. Last year, we gave the gift of experience to our family: a paddle board lesson for my dad, a cooking class for my sister and brother-in-law, and rock climbing for Junior ThreeYear. Giving experiential gifts is fun, but it can get expensive. So, this year, my sister recommended we adults give each other stocking stuffers only, under $20. I love this idea because you’re not spending a ton, the gift can be practical (and/or a consumable that the recipient would buy anyway), and adding parameters somehow makes it easier to choose for each person. 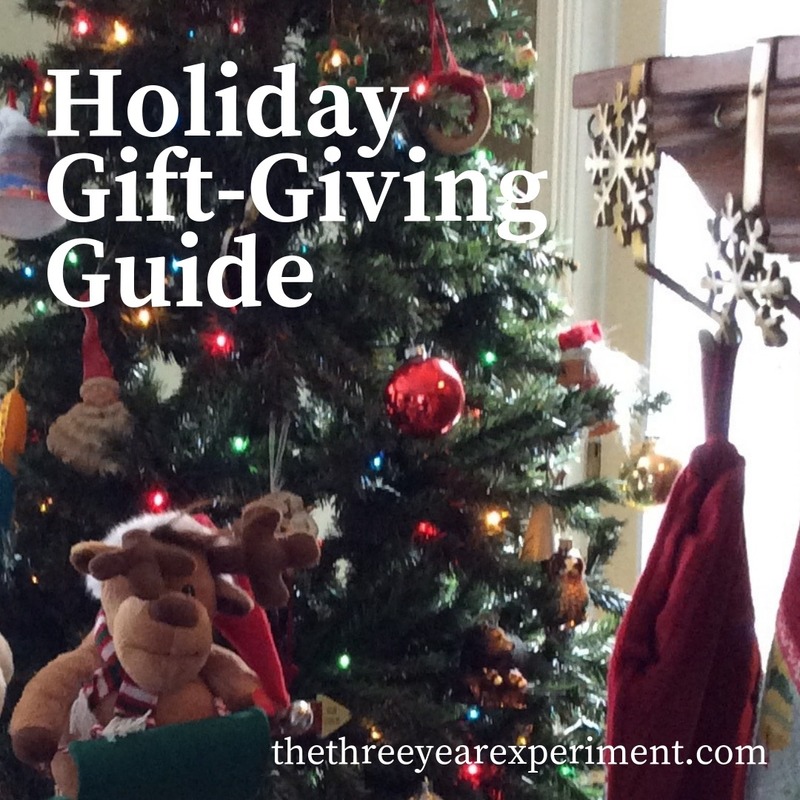 In the spirit of stocking stuffers, I decided to create a gift-giving guide to highlight some wonderful gifts I’ve come across this year. And because I love books so much, I’m throwing in some book ideas, too.